It’s often personal stories that help us see the bigger picture: landscape and history suddenly come alive and ordinary objects take on a new meaning. Our personal connection to a place can provide missing links and a new way to look at the world. 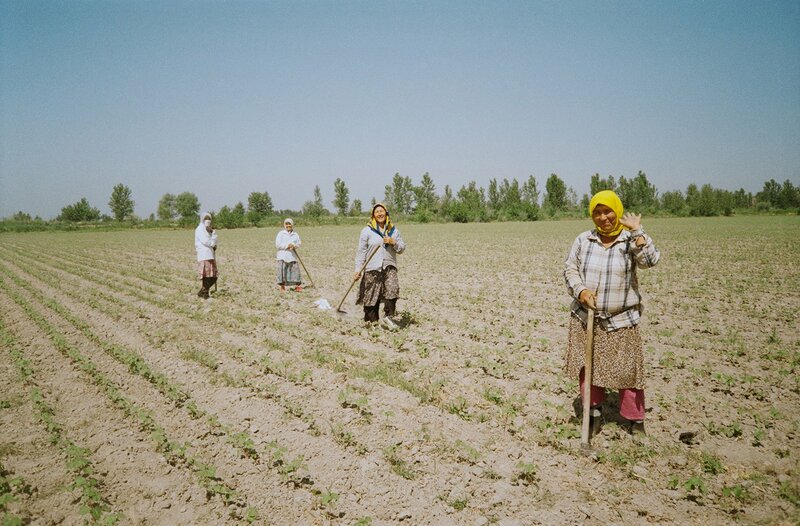 Olga Shurygina’s project on the women of Uzbekistan started from an urge to find out more about her grandmother and the history of her family. 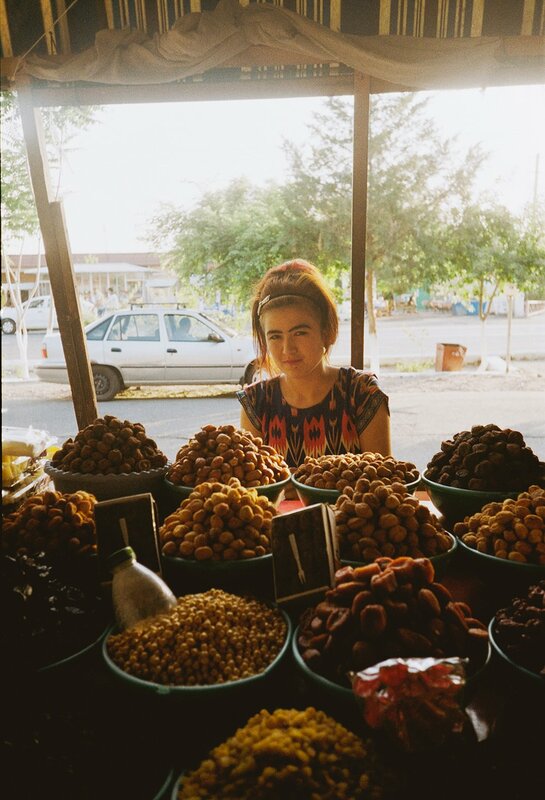 This personal journey led her to drive miles along the sun-drenched, dusty roads and find endless inspiration in the women she encountered on the streets, markets and in the fields of Uzbekistan. 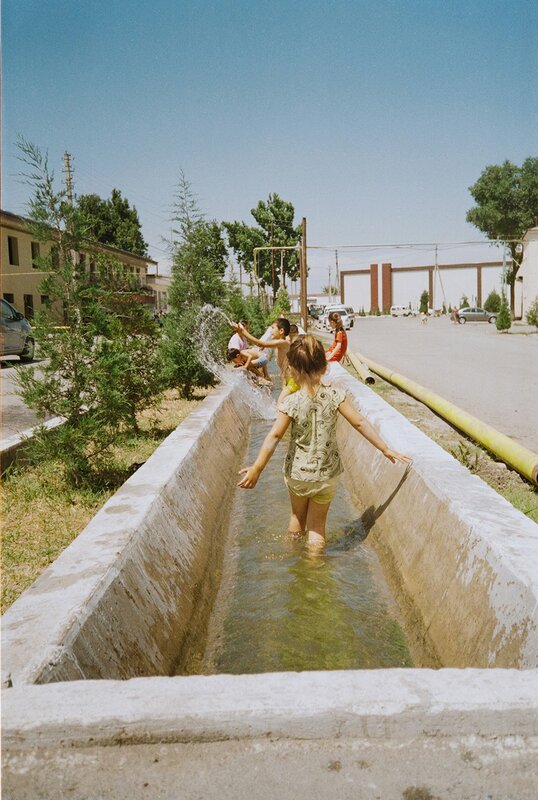 Shurygina’s study of her grandmother’s passion is a crucial part of the story. Through photography, she turns her grandmother’s craft into a visual meditation on texture and colour — she photographed scarves draped over interiors and tied to objects and modelled by her grandmother. Her own attention to these materials channels her grandmother’s dedication to her work. 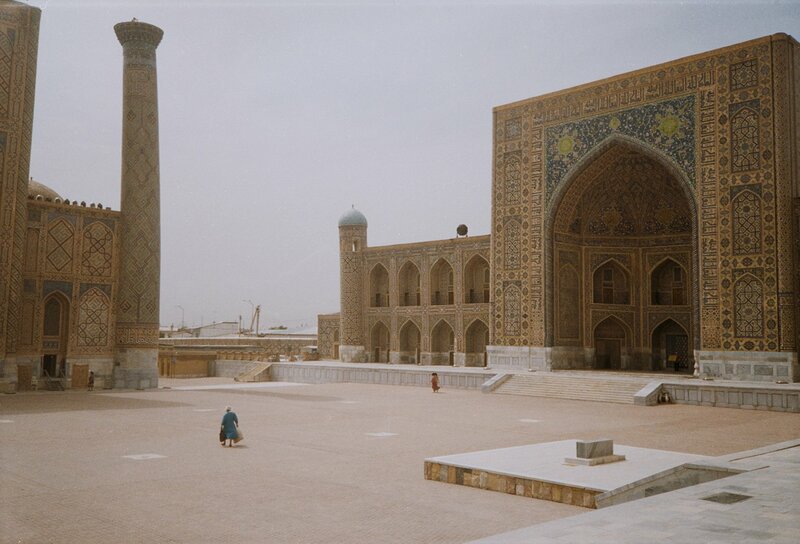 The patterns and colours of her grandmother’s scarves later spill out into images from her subsequent journeys around Uzbekistan. The invisible memory trail served as map for the photographer’s journey, but her focus soon shifted to the people she met along the way. “In the cities, towns and villages, I saw women everywhere. It always felt as though there were more women than men. 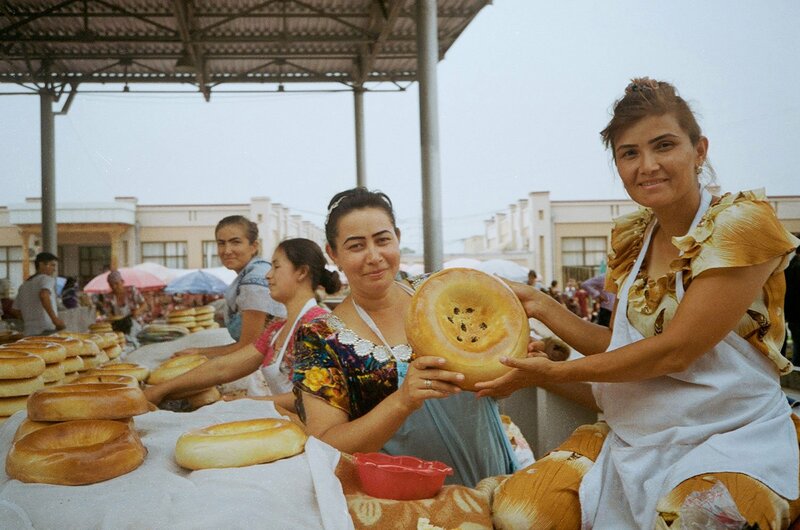 On the streets, markets, everywhere — women in colourful clothes, jewellery, with dark tanned skin and dark eyebrows. 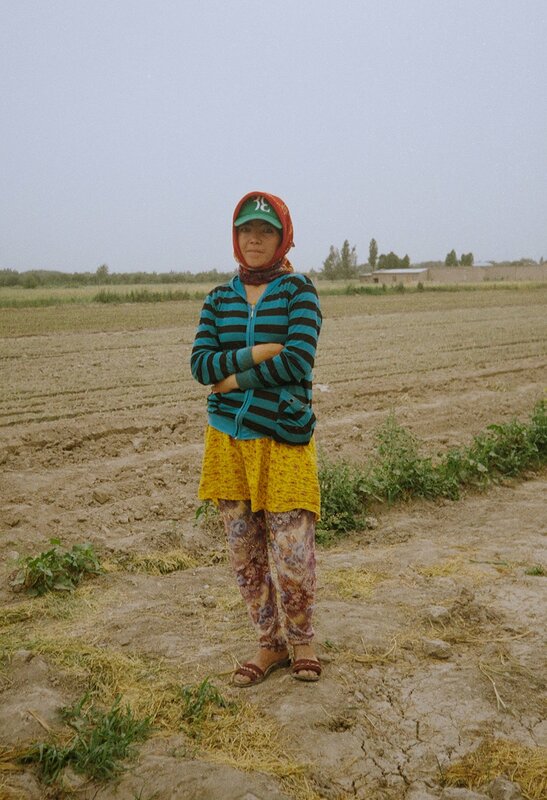 On the way to Margilan, in Fergana valley, I saw women working in the fields and stopped to take photos. 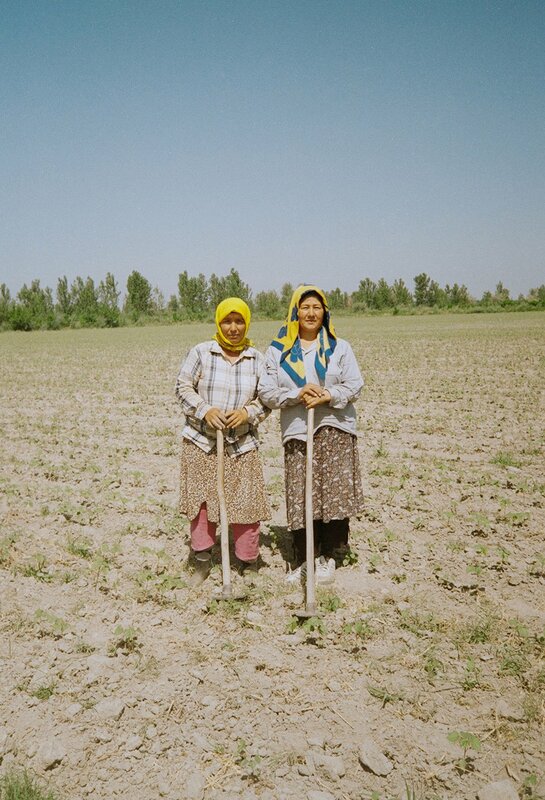 Women who work in the fields start before sunrise to avoid the heat. They cover their heads and faces with scarves to avoid getting sunburnt. Almost all of them were shy when I asked to take their photo and kept repeating that they were not beautiful in their work clothes. 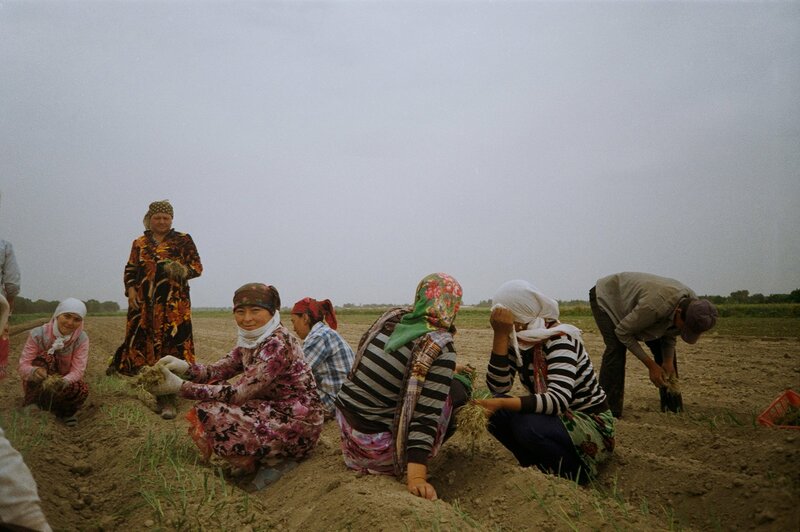 In general, throughout my travels in Uzbekistan, I witnessed a traditional and conservative way of life, where family takes presedence and both women and men work hard for the future of their children,” the photographer reveals. 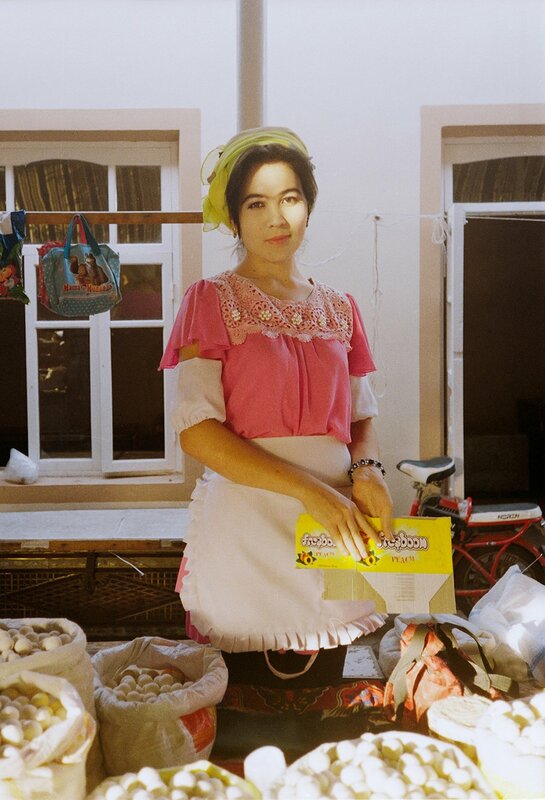 In Shurygina’s photographs, her grandmother’s craft is reflected in daily life and material culture of Uzbekistan: head scarves in all kinds of patterns, the colourful clothes of women and the dedication to their labour, somehow all refer back to the story of Shurygina’s grandmother. 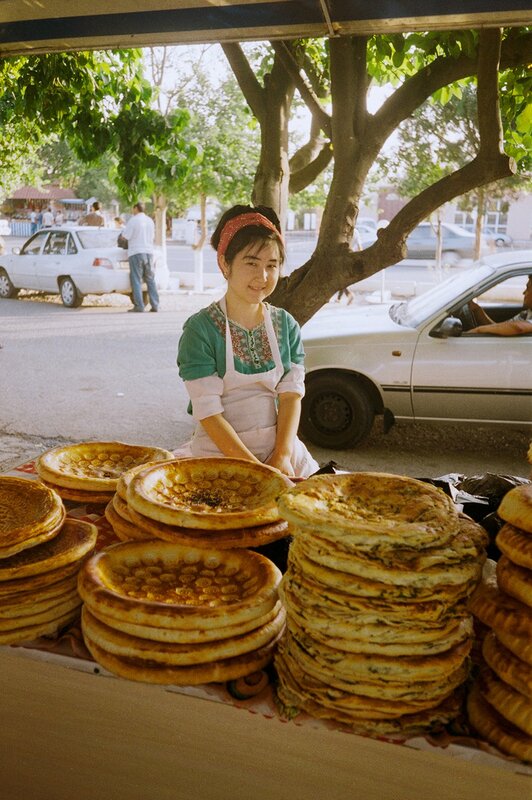 “When I was heading to Uzbekistan, I was thinking that I’d be most impressed by the cities, but it turned out that the most inspiring thing I took away were the people, particularly women. 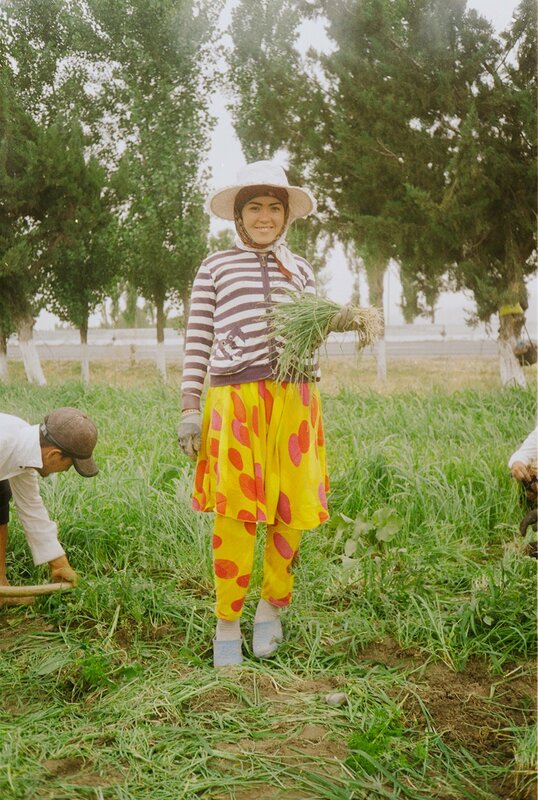 My grandmother, her friends, the people of Marginal, the women working in the fields, and their kids,” the photographer adds. 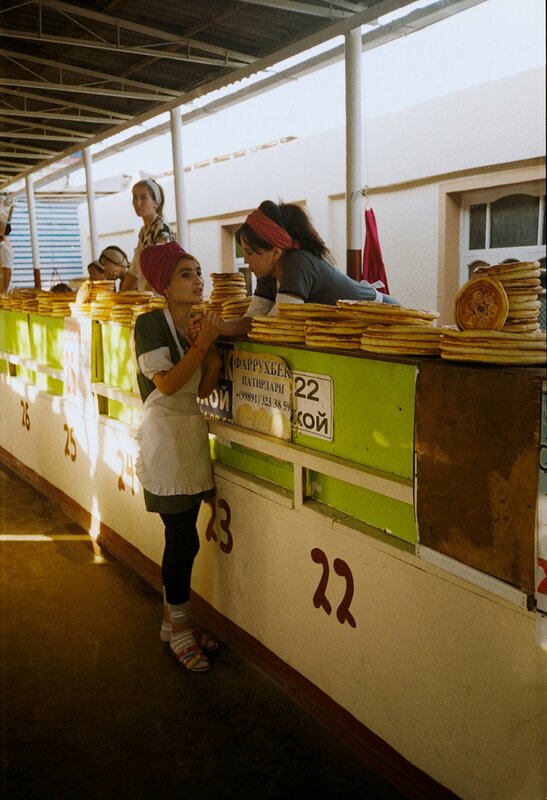 In the end, Shurygina’s grandmother decided not to take the trip to Margilan with her granddaughter. 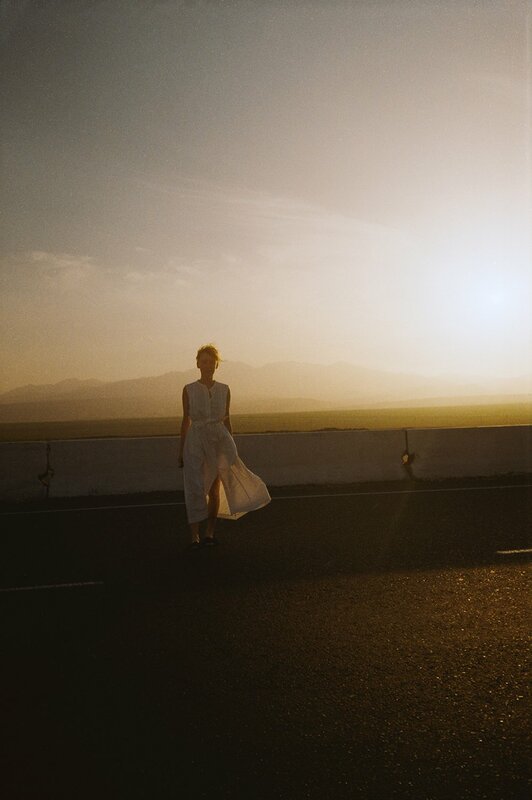 “Firstly, she thought the journey would be too hard, and secondly, she admitted that she wasn’t sure how she would take it, as she hasn’t been there for 20 years. 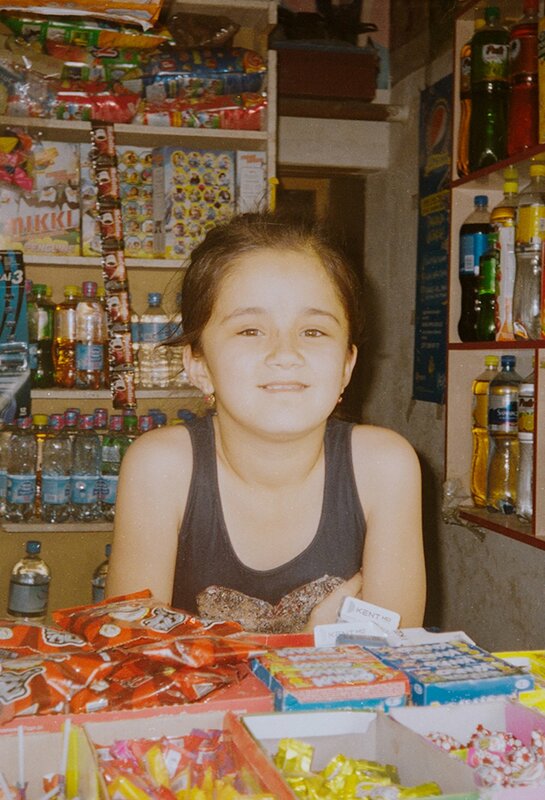 Before I left for Margilan, she asked me to bring sweets and water to give to everyone I photograph.” In a way, Shurygina’s project contains a very important lesson about return. Even if the place has changed, and you can’t take the journey yourself — the connection still remains.